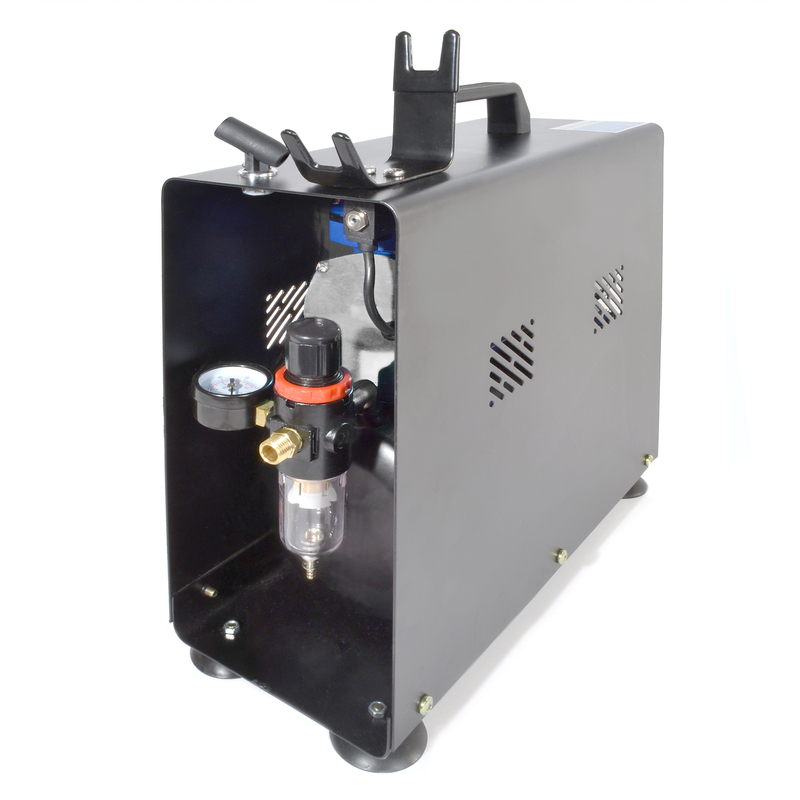 The Paasche DC600R Auto-Start Air Compressor . . . Smooth, Powerful, Portable and Quiet! 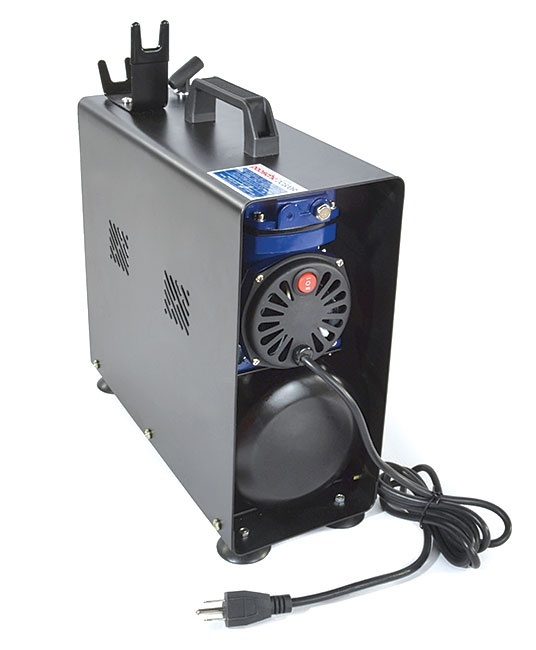 Air output: 35 liters/minute. Pressure adjust range: 0 to 55 psi. Auto start at 43 psi; auto stop at 57 psi. Includes carry handle, suction-cup feet, two airbrush holders, thermally-protected motor, six foot line cord, and body-mounted on/off switch. 120vAC.